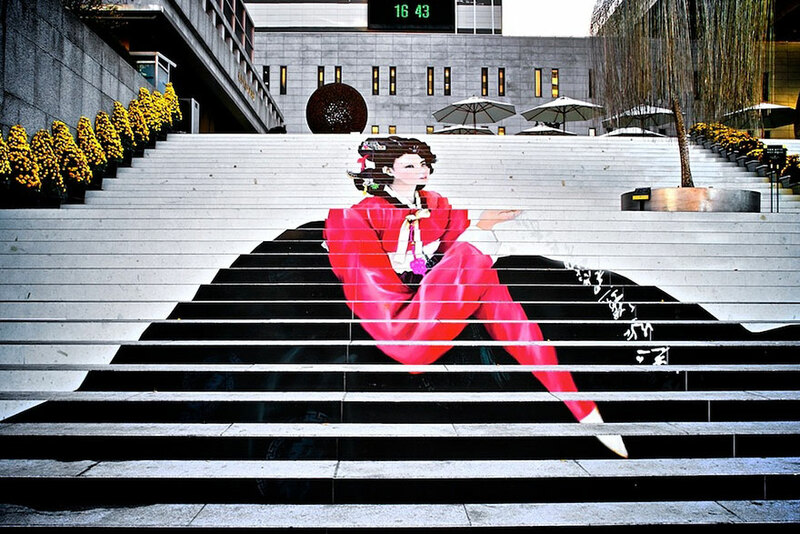 Street art is gradually coming to be accepted as a legitimate and wonderful art form by more and more people, but that doesn’t mean that street artists can rest on their laurels – they continue exploring with new ways to exploit public surfaces and cover them in beautiful art. 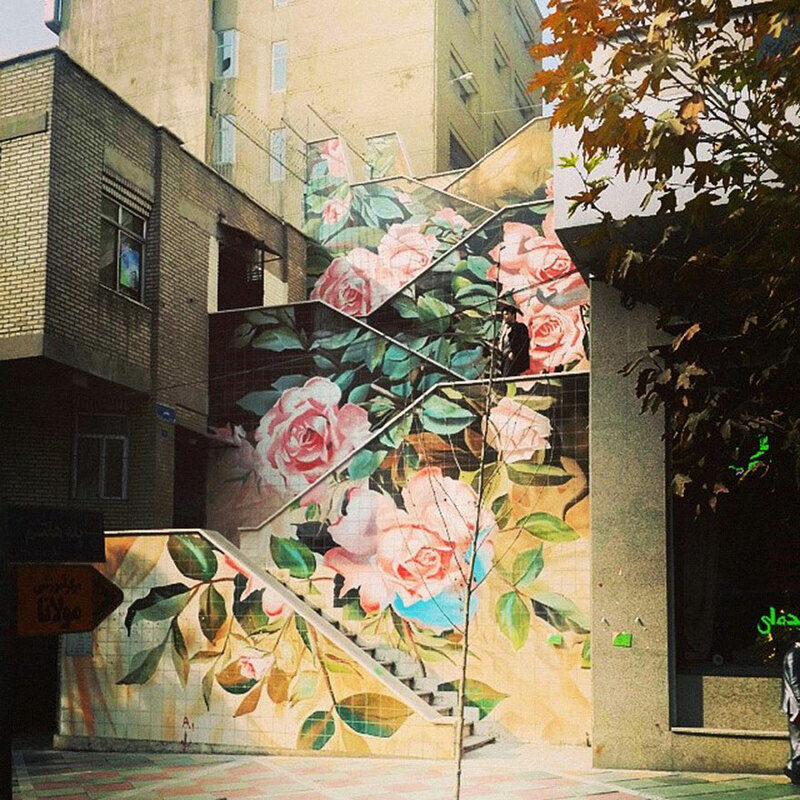 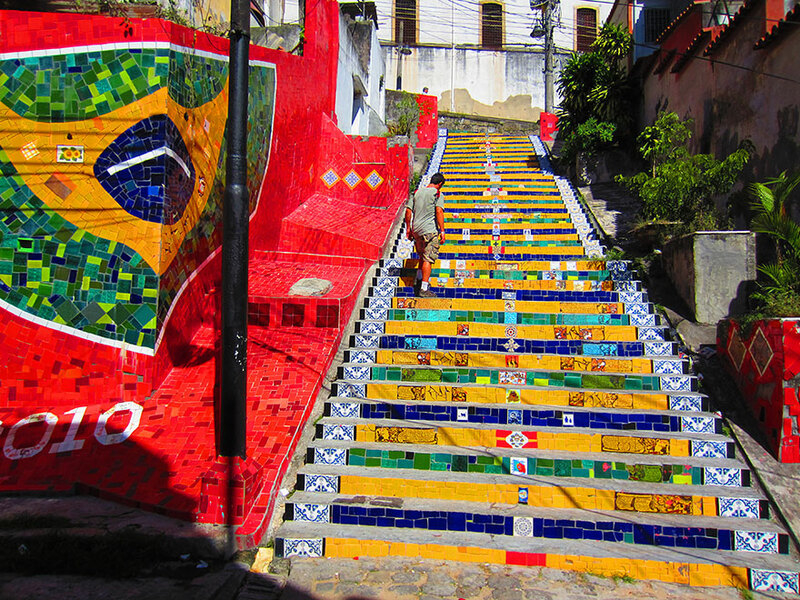 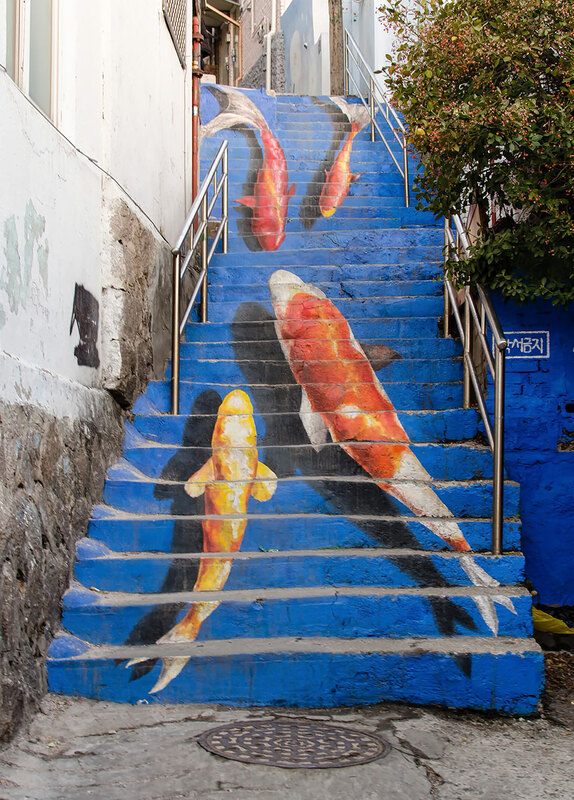 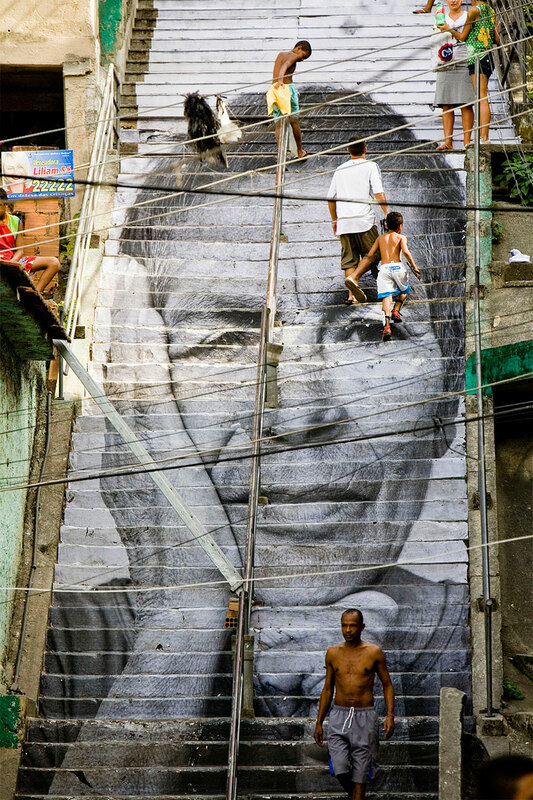 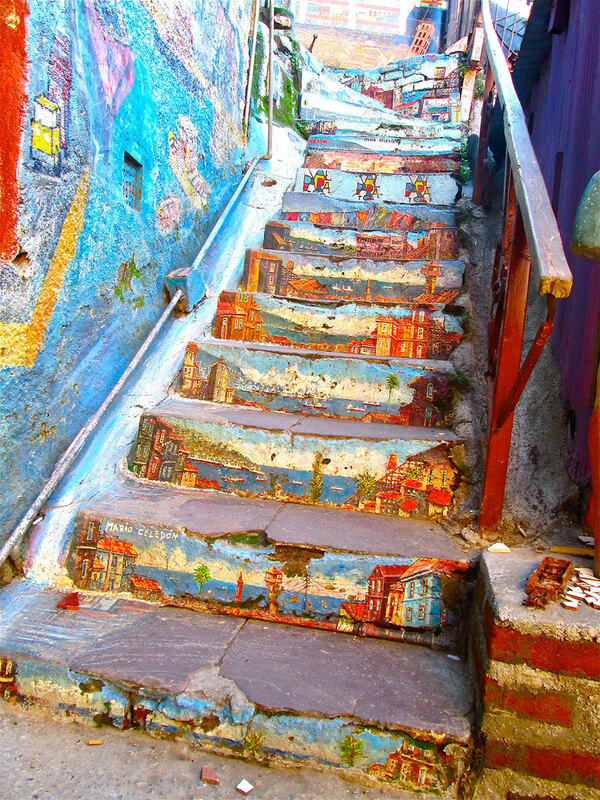 This post is all about street artists and regular people who have decorated something that most of us probably wouldn’t think of decorating – public outdoor steps. 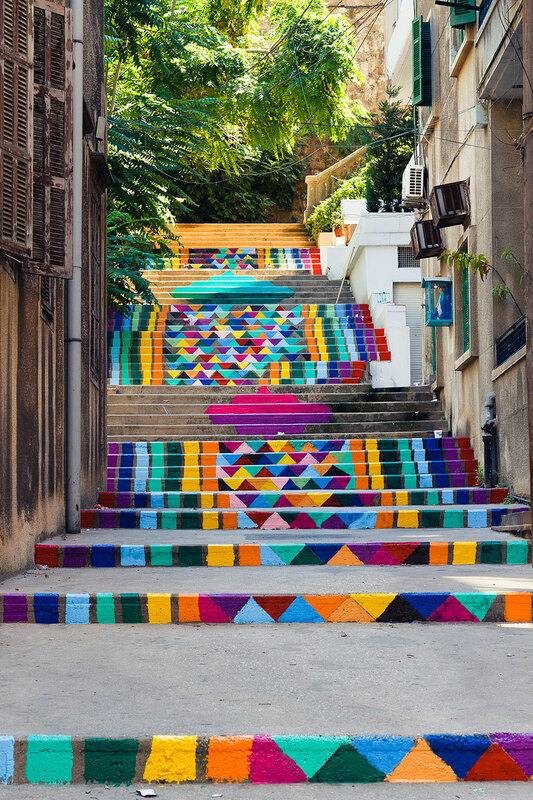 Much like the hidden street art of Zebrating, most of these pieces can only truly be appreciated when viewed from a certain vantage point. 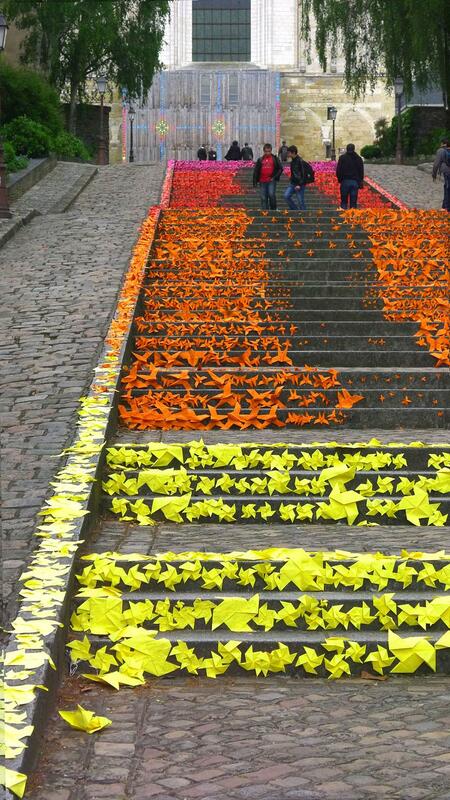 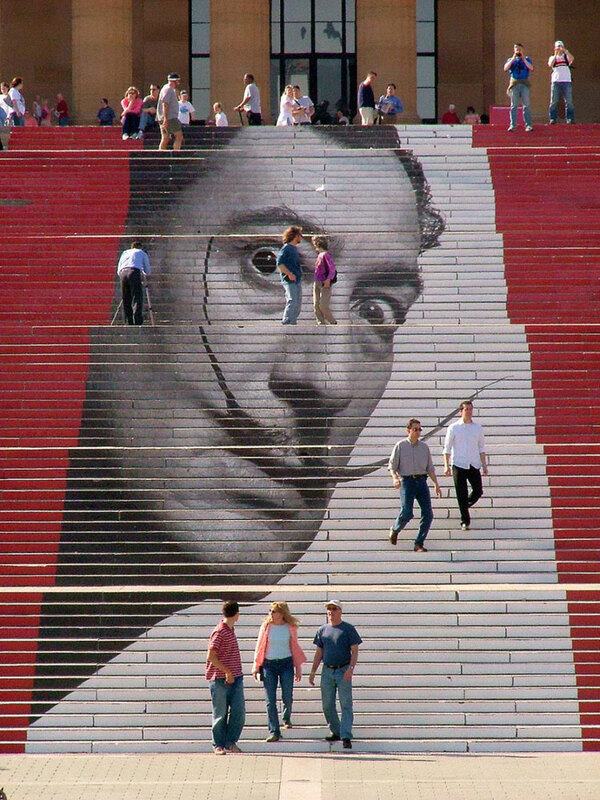 They may seem like random splashes of paint to someone actually climbing those steps, but someone looking at them from below will see the artist’s full vision. 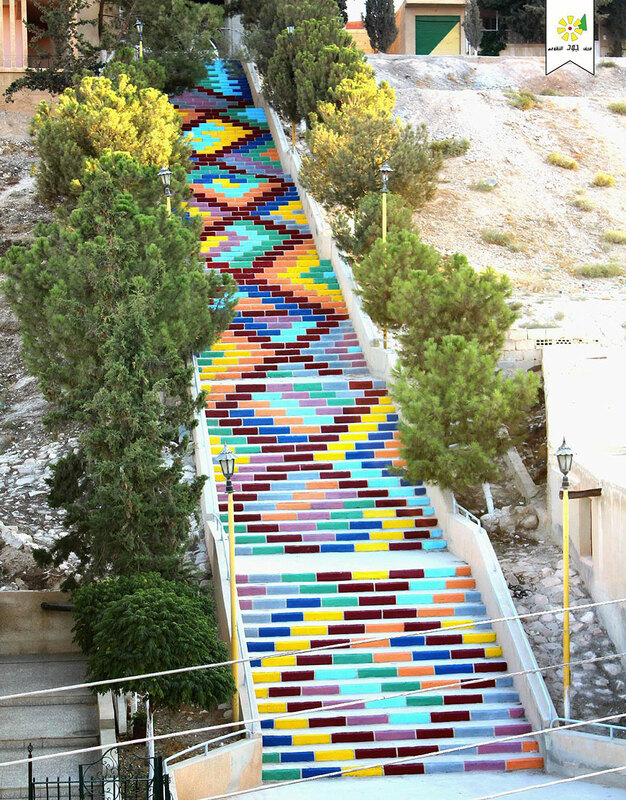 If they’re long enough, someone ascending the steps will see the image and see how it stretches and twists as they approach it. 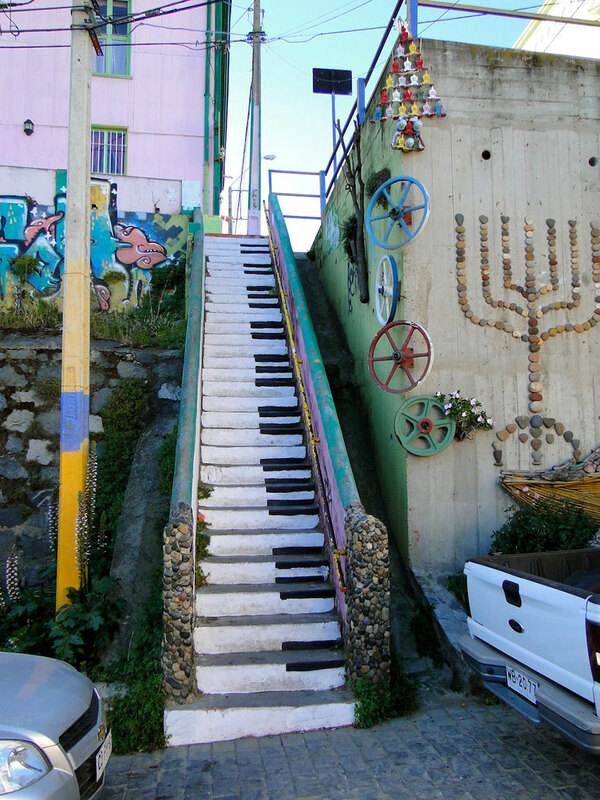 Of course, not all of them have to form images – some are simply colorful decorations that make the neighbourhood a more uplifting place. 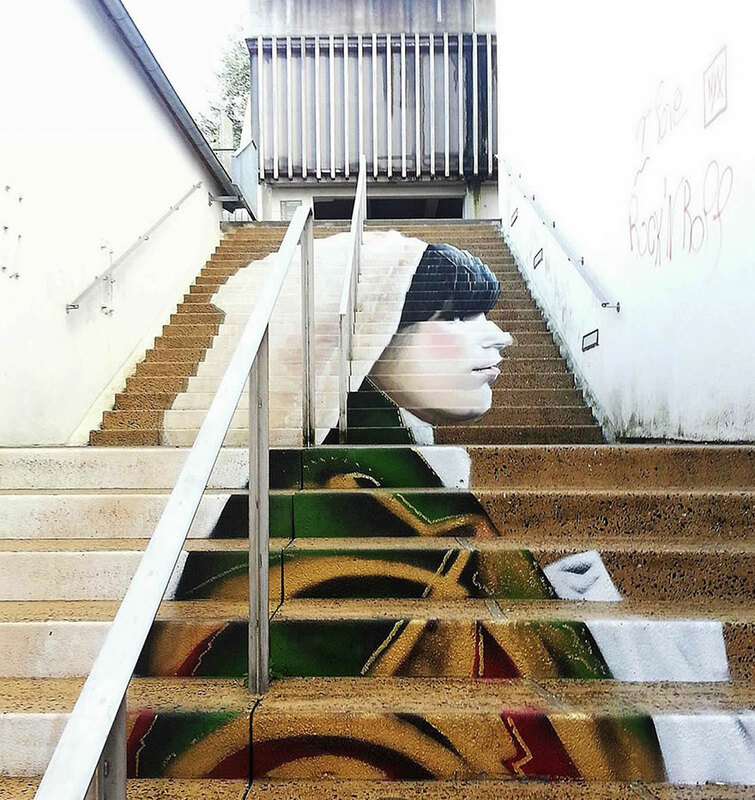 Quite a few of these pieces were born out of community efforts, which also shows a growing worldwide acceptance of street art. 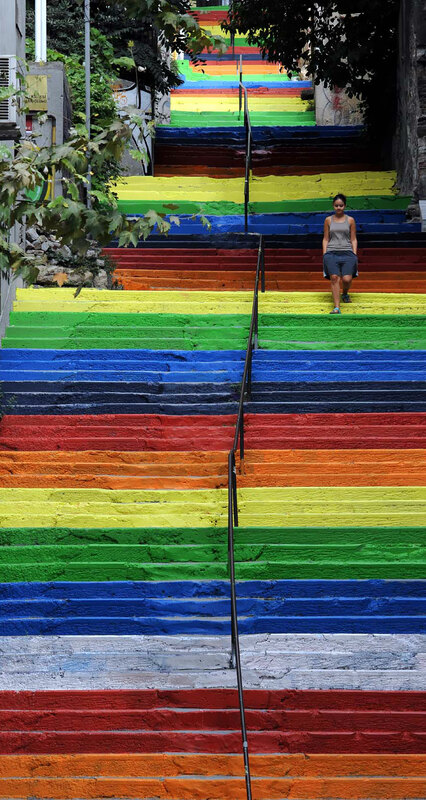 When the Rainbow steps in Turkey were first painted over by the local government, nearby communities responded by painting their own steps as well in solidarity. 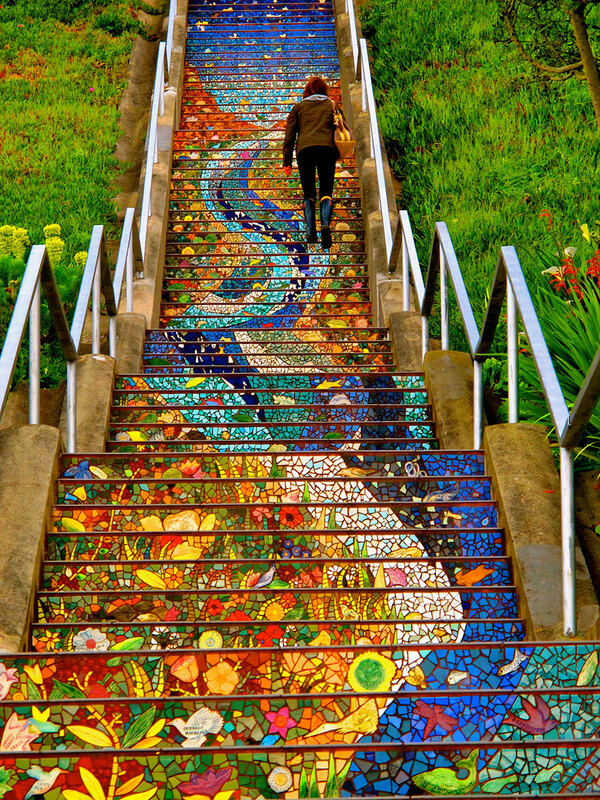 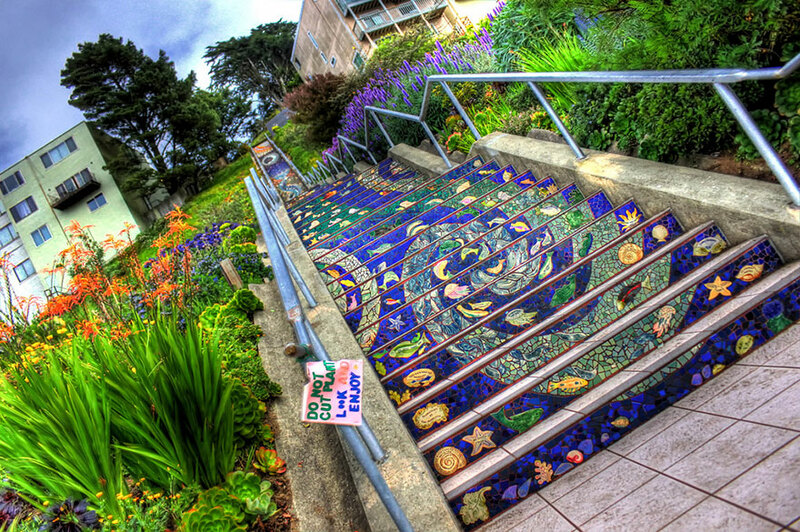 The mosaic steps in San Francisco were created by more than 300 local people under the careful guidance of a couple of artists. 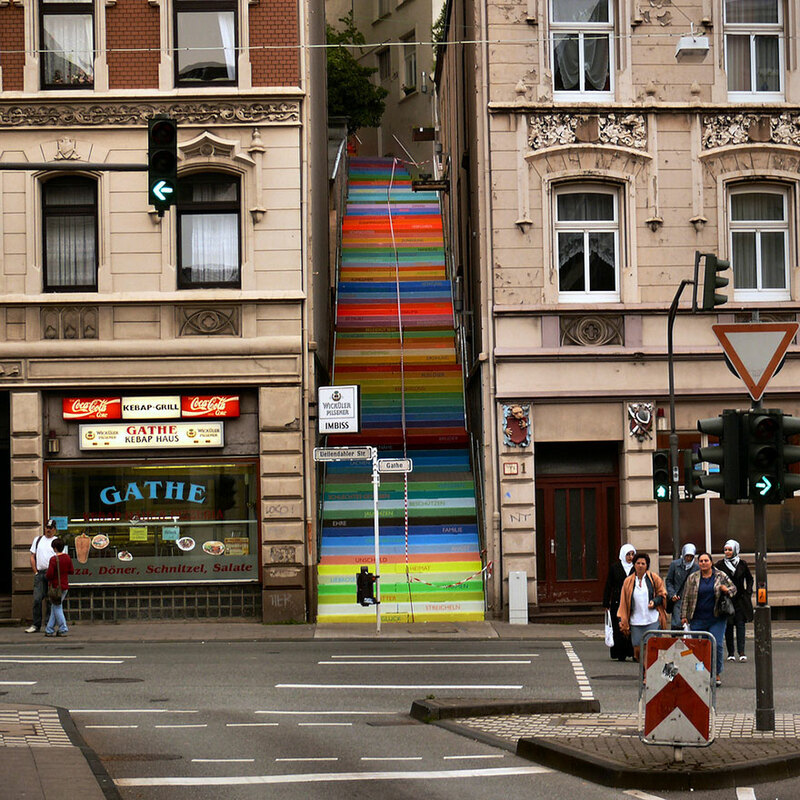 Are there any similar steps in your city that are worth sharing? 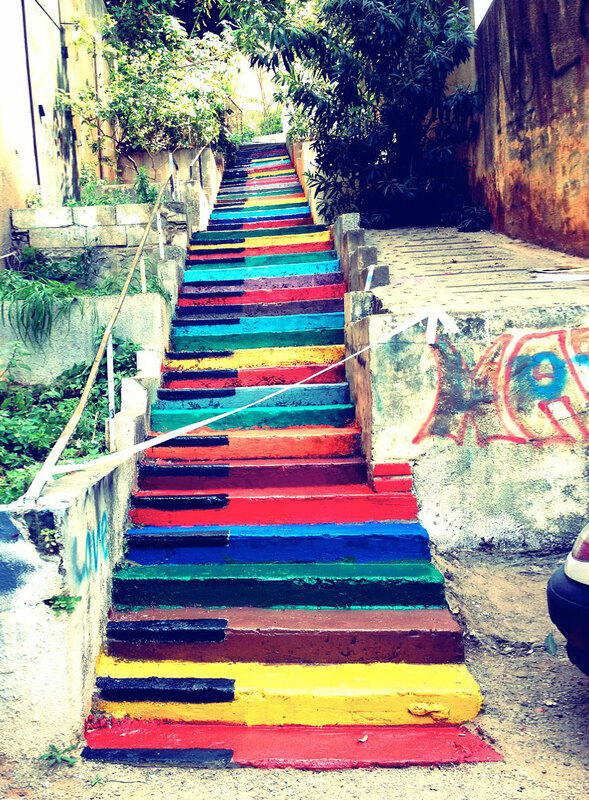 If not, hopefully these images will inspire you to get your community together and paint your steps together! 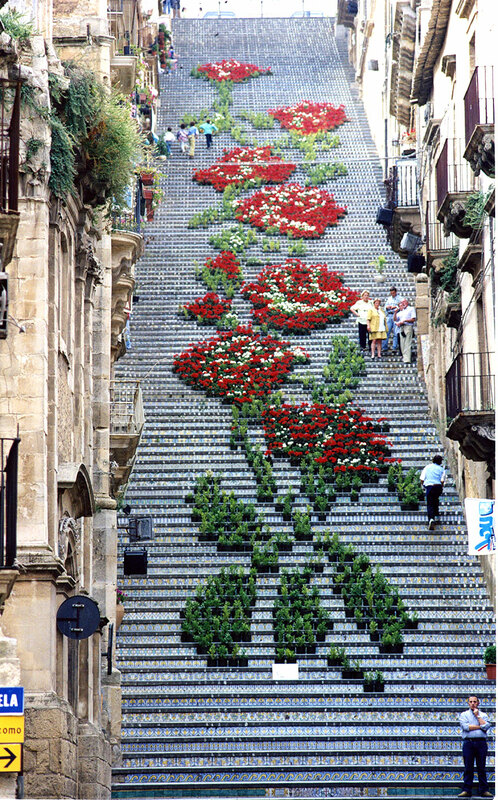 Image credits: Dihzahyners Project To read more, Click Here.